I am a freelance script consultant, script editor and creative producer, primarily working in comedy and comedy drama. Although I often work directly with writers, I am also employed by organisations. I have freelanced for Sky, as a production consultant on one of its Urban Myths programmes, plus worked as a development executive for Talkback Productions’ head of scripted comedy, Nana Hughes. In March 2018, I completed a one-year in-house contract in Sky’s comedy commissioning team, as a development executive, supporting projects already in production, as well as helping to uncover exciting new ideas. From half-hour and hour-long comedies, for Sky One – such as In the Long Run, with Idris Elba. To the Urban Myths strand for Sky Arts, where fantastic talent, such as Frank Skinner and Anna Maxwell Martin, help us retell true-ish stories about cultural icons. As well as the collection of comedy shorts, which helps showcase newer, up-and-coming talent. Identifying, supporting and nurturing new talent is close to my heart, so I’m proud and excited to have set up a Bridges To Industry project with the National Film and Television School, whilst I was at Sky. This gave the often-unsung heroes – the writer and producers – an opportunity to create one of Sky’s Urban Myths short films. 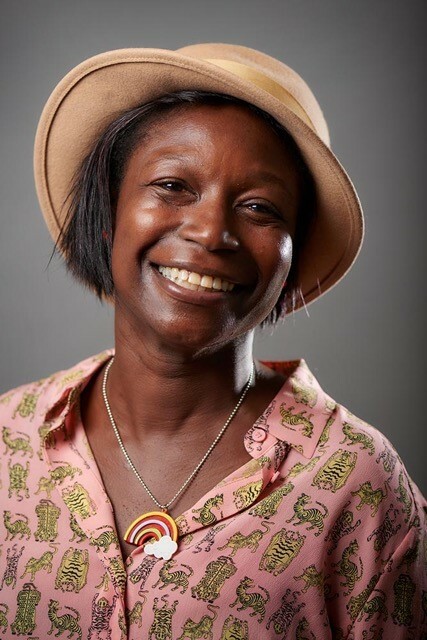 That passion for new talent led me to get involved with many other great projects and organisations, including script reading for Film London, to review submissions to its brilliant London Calling Plus scheme and helping Funny Women judge its comedy writer award. I’ve made a career change to get here and along the way have had some great teachers and experiences. I spent 14-months earning a Post-Graduate Diploma in Script Development at the National Film and Television School, graduating in February 2016. This built nicely on the Masters in Screenwriting that I’d completed at Birkbeck, University of London the previous year. Learning how to help other screenwriters find and communicate their voice, so they can tell their story in an authentic and viable way, was immensely satisfying and enjoyable. I left the development course armed with a dynamic arsenal of skills to help me improve other people’s scripts, as well as my own. Returning to university after twenty years to study, while also working, was an huge challenge which definitely tested me to my limits. But – now that it’s over – I can look back and say how much I loved it. Today, I’m proud to have helped many writers take their scripts to the next level. Including one intense, but fun and rewarding project, taking someone from rough outline to the second full draft of their comedy feature, in only ten weeks. And personally, I have written two comedy features, one black comedy TV pilot and a TV drama of my own, so far. But for those that think that writers can’t be developers as well – please rest assured that I understand script development isn’t about rewriting things in my voice, but rather about helping the writer find theirs. Ultimately, I simply love scripts and I am excited to work with them and their creators in any way that I can. I have always had a love for story, winning my first writing award when I was at primary school – as my mum still likes to tell people! After my first university stint, in the early 90s, I went into PR and marketing, with ITV becoming one of my first clients. Ten years later, in 2002, after working as a director in agencies and then going full circle, back to ITV (but this time in-house) I went freelance under the company name Awesome Communications (a ‘hilarious’ pun on my surname). My total of 20+ years’ marketing experience, covers everything from traditional PR, and digital and social media, to film-making for companies like Microsoft and Nokia. A great career, which I’m thankful for – but I’m delighted that my undiminished love of story inspired me to take a leap into the world of script development, producing and writing. I can’t think of anywhere I’d rather be. If you’d like me to talk to me about work, or to just buy me a drink (! ), please email me – janet @ janetawe dot com – or use the contact details below.